Rite Aid is currently running a monthly promotion (Ends 11/29) on Axe deodorant and body spray. 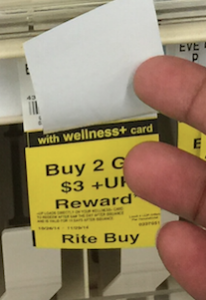 Buy 2 get back a $3+up Reward. The limit is 4, meaning you can get a total of 8. 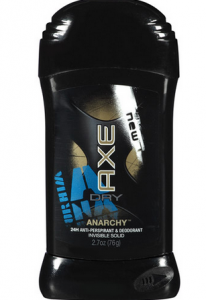 There are several Axe deodorants on clearance but unmarked.